This past March, we introduced our collaboration with Prentiss Douthit and launched his eponymous line of stationery, available on our site and from our retailers. With Prentiss’ love of social gatherings and passion for design, his line of stationery blends distinctive charm with a sense of humor. We asked Prentiss to create some fun entertaining tips for our Facebook friends, and we are delighted to share them with you here as we usher in the perfect season for entertaining. TIP #1: "Start with a great excuse to have a party! Don't wait for your birthday. Celebrate your awesome new haircut. Celebrate Saturday. Toast to the friends you love. Entertain from the heart." 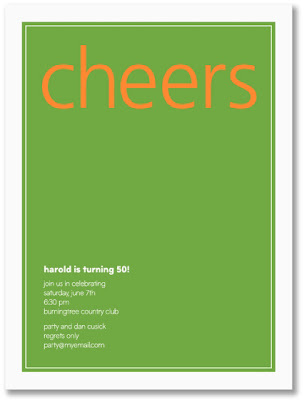 Customize this invitation with your own reason for cheers here. TIP #2: "The sun is shining, and the weather is warming. There's nothing more perfect for casual good times than a barbeque, no matter the occasion. So, kick off those heels, get comfortable, and show your guests just how fun a relaxed party can be!" 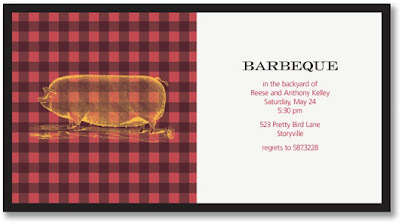 Personalize your summer barbeque invitation here. TIP #3: "Give your guests good music to dance to and a reason to do so. The right host can make a celebration out of stars in the sky. And, a little Mary J. Blige, Sam Cooke, and Ella Fitzgerald can make dancers out of any of us. Cheers, y'all." 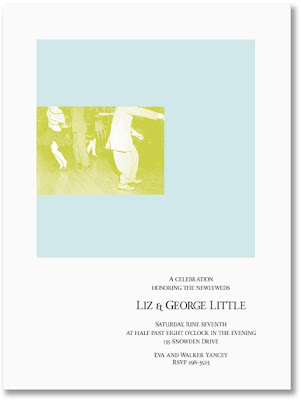 Personalize your own swing step invitation here. TIP #4: "Let my stepdad tend bar for you. Is he a professional bartender? No. But he's hilarious, cool, a good dancer, and makes one hell of a gin and tonic. Good times!" 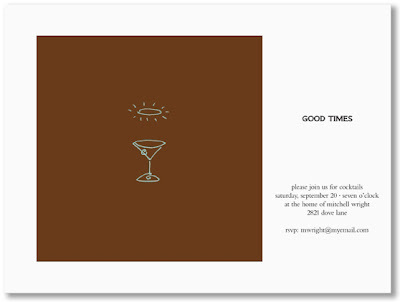 Customize your good times party invitation here. TIP #5: "My favorite memories of dinner parties have always been about the conversations at the table. Invite your funniest friends, give your guests plenty of reason to laugh, and plan conversational games. My favorite: Everyone writes something about themselves that no one at the table would know. Each fact is reviewed one at a time and everyone tries to guess who it belongs to. Do you have a favorite?" 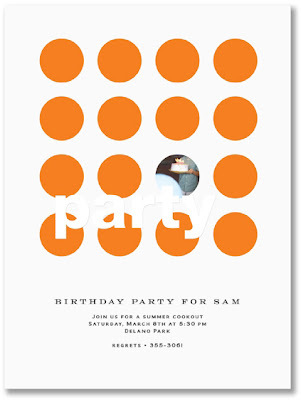 Personalize your party invitation here. TIP #6: "A toast is a gift of your heart wrapped in a cocktail. Make them laugh and make them feel your emotion. These are your friends. You love one another. Revel in this. Cheers!" 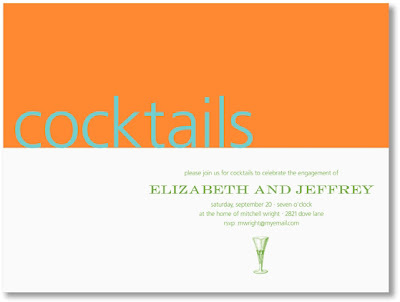 Customize your invitation for cocktails here. See all Prentiss Douthit invitations here. Join us on Facebook here.